It happens to all of us: often through no fault of our own, we overbuy at the grocery store. We’re forced to purchase 3.5 ounces of tarragon when our roast chicken only requires a sprig, or we’re stuck with an entire bottle of black truffle oil because supermarkets don’t sell liquid gold by the drizzle. These instances might not seem like a big deal — your wallet takes a hit, and your cabinets overflow with specialty items that will gather dust until they expire, but there are worse things, right? Ok, then multiply the impact of your food waste by 320 million (the approximate population of the U.S.)… our casual food waste is far more damaging than we know. Here are the facts, courtesy of the Food and Agriculture Organization, the Environmental Protection Agency, the Natural Resources Defense Council and End Food Waste Now. Approximately 40 percent of food in the U.S. goes to waste. Every year, consumers in industrialized countries waste almost as much food (222 million tons) as the entire net food production of sub-Saharan Africa (230 million tons). Food waste that goes to the landfill breaks down anaerobically and produces methane; methane is 21 times more potent than CO2 as a greenhouse gas. 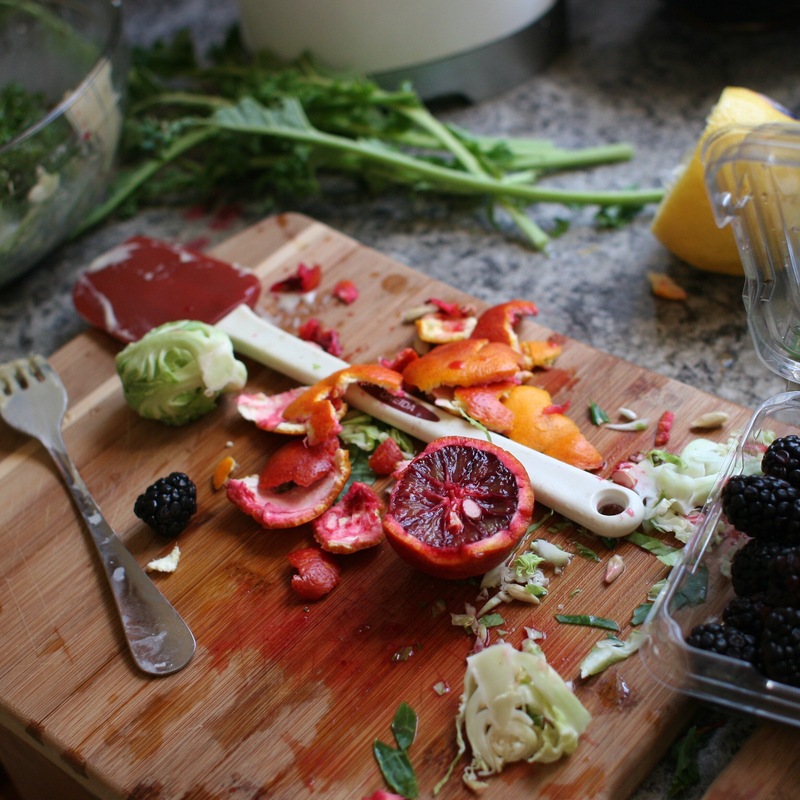 Nearly 34 million tons of food waste is generated in the US each year. Americans are throwing out the equivalent of $165 billion each year. Reducing food waste by 20 percent would provide enough food to feed 25 million people. The facts are frightening — we’re unwittingly harming our environment and economy, and further devastating our food system. But there are ways to avoid waste. You can take careful inventory of what you already have before you go shopping, meal plan for the week, and abide by a grocery list… or you can let Home Chef do all that. The benefits of using an ingredient and recipe delivery service go beyond convenience: Home Chef sends you exactly what you need — there’s zero waste. And all of our packaging is recyclable or compostable, so you can feel good about that, too. We’re doing our part to end food waste. Join us!